Check the calendar below for availability, and if you find a week that suits, just drop us a line. 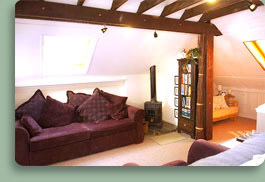 Short breaks are available for last minute deals, with a minimum of a 3 night stay. 3 nights will cost 60% of the relevant weekly rate, 4 nights 80% and more than that will be at the full rate. Call or email for more details. like to arrive on a different day. PETS are welcome but there will be a charge of £10 for each dog. Before you book, make sure you are happy with our standard terms and conditions.